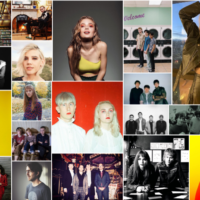 The Matinee ’18 December 3rd includes 6 brand new tracks to get your Monday kicked off right. 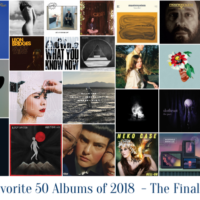 As we move into the end of 2018, we hope you find your new favorite song or band today. We have a mix of sound today from singer-songwriter, synthpop as well as indie rock. Artists are representing Canada, The US and the UK today. 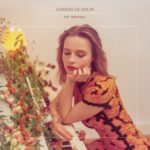 “My Mistake” perfectly showcases Ms. Aplin’s captivating vocals as she completely holds your attention throughout the simplistic production that includes commanding piano and soaring harmonies. The single is out now on AWAL. It’s the first single from Ms. Aplin’s upcoming third album release, which will be out sometime next year. 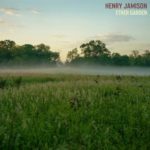 Henry Jamison has a new release titled “Ether Garden”. Mr. Jamison was raised by a classical composer father and an English professor mother, Jamison was drawn to music and lyrics from his earliest days, and began recording his own homemade cassette tapes while he was still in elementary school. 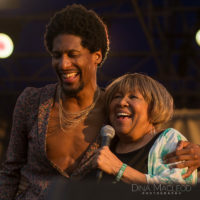 So far with singles “Boys”, “Gloria” and now “Ether Garden” already released his newest album will be one to look forward to in 2019. 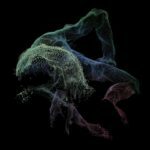 “Ether Garden” is from Mr. Jamison’s forthcoming album titled Gloria Duplex which will be released February 8 via Akira Records. 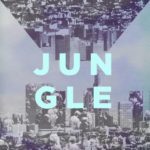 “Jungle” is the newest release from Hotel Mira. The newest single from the Canadian trio provides an energetic look at adolescent love. It brings back those memories of trying to navigate through hormones and emotions we didn’t know what to do with in our formative years. 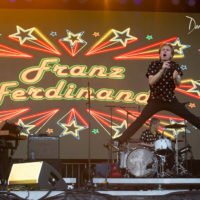 The single is upbeat and nostalgic as it takes the listener back to finding your favorite bands growing up and then wondering if your next high school crush was really into you, or just wanting something else entirely. The harmonies are infectious and the track definitely begs to be put on repeat. Hotel Mira are Charlie Kerr (vocals), Colton Lauro (guitar), and Mike Noble (bass). The single is out on Light Organ Records. London based Sasha has just released “Ouch”. The single is quite hypnotic as Sasha recounts a relationship that in hindsight wasn’t the best one to begin with. Sasha’s vocals are sweet yet strong and the composition on her newest track provides a shiny and brilliant exterior even though the lyrical content is not so sweet. The single is a bit of a contradiction as it provides an upbeat and euphoric exterior while Sasha’s lyrics begin to unfold and tell the story of believing things were one way when in reality, they really weren’t. 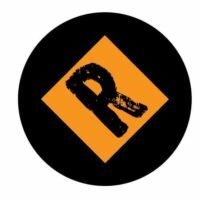 “A Place Called Home” is from Stereo Honey‘s recently released EP What Makes a Man. “A Place Called Home” is definitely one of the stand out singles on the EP. It tackles the reality of all the masks we can sometimes wear to fit in with certain groups of people. The single was co-written by Rhys Lewis and is an honest and transparent single about our emotional insecurities. The vocals are soothing and the euphoric harmonies provide a warm and hopeful atmosphere while that emotional “home” is being found. Stereo Honey are Peter Restrick (vocals/guitar), Nicky Bolardi (guitar/keys), Ben Edwards (bass), and Jake Black (drums). 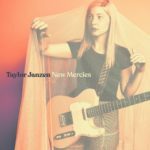 “New Mercies” is the newest single from 19 year old songstress Taylor Janzen. This is the first time we hear a fuller, larger sound from the mostly acoustic based artist. Her newest offering is definitely more expansive in it’s overall sound, yet her vocals still mesmerize throughout. The addition of a full band does not take away from the power felt through Ms. Janzen’s vocal strength and lyrical prowess. “New Mercies” was mixed by Mike Mogis (Cursive, Phoebe Bridgers, Bright Eyes). The evolution of Ms. Janzen’s sound is now beginning and the listener is able to hear her full range of emotions with a full band in her newest release. 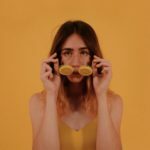 Taylor Janzen is currently working on her sophomore EP so 2019 will be a busy one for her as she’s already been announced as a showcasing artist for SXSW 2019 as well as playing the Shaky Knees Festival in May.